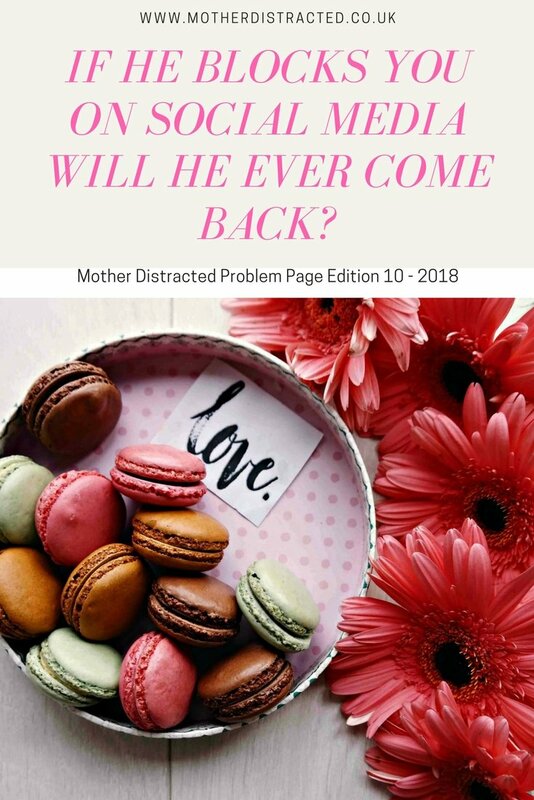 In problem page edition 20 of 2018 from your online relationship coach – when your boyfriend doesn’t want to celebrate his birthday, when you hate your ex even though it was you who ended it, whether you should give your ex a third chance and just how many times should you ask someone on a date before giving up? Here are the questions for problem page edition 20. Q: What does it mean when your boyfriend doesn’t wish to celebrate his birthday or wants to go out anywhere? A: It depends on whether he doesn’t want to celebrate his birthday at all, or whether he just doesn’t want to celebrate it with you. If the latter then it sounds as if your relationship isn’t going too well. But bear in mind that some people don’t like to celebrate birthdays because they take no pleasure in getting older or just don’t want the fuss. Have you talked to him about this? Is there something in his past he associates with his birthday that is upsetting (a family death?). There’s more to this than meets the eye I think and talking is the way forward. If he’s like this with going out generally then it is possible he may be suffering from anxiety or depression and could benefit from counselling or talking to a doctor. If he otherwise OK but seems uninterested in your relationship in general, it might be time to move on. Q: I was the one who broke up. Why do I hate my ex so much for giving up? A: It’s always easier to blame someone else than to take responsibility for your own actions – particularly when you’re not happy with the results of your decision. Did you really want to break up or were you just making a gesture which backfired? Are you sure you don’t want your ex back? Have they already moved on and found someone else? Is that what has got you so annoyed? You have a choice here. Either accept that it’s over and take solace from the fact that you’re captain of your own ship and are now free to pursue new loves or get back in touch with your ex and see if you can build bridges and try again. Q: Should I give my ex a third chance after she dumped me twice? A: Is she actually asking to come back? On the previous two occasions did she leave you for someone else – only to find those relationships didn’t work either? Or are you hoping you can prevail upon her to come back because you miss her? 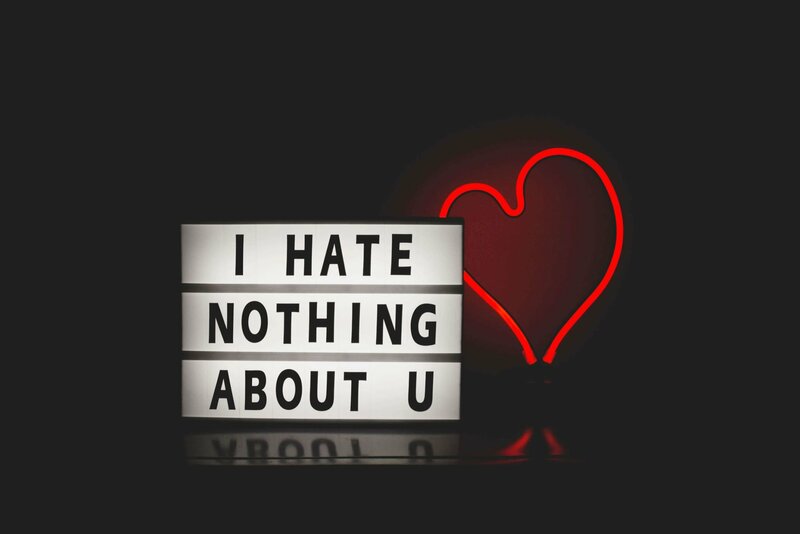 The difficulty here is that she probably sees you as a bit of a doormat and a safe port in a storm – someone who is always there if things don’t work out and who will put up with her nonsense. In your shoes, I’d be setting my sights a lot higher and looking for someone who treated me with respect. This girl sounds flaky at best and a bit of a user at worst. I think you can do a lot better. Q: Why did my ex-girlfriend become social media friends (a couple weeks after our breakup) with a girl she suspected me of cheating on her with, even though I never did anything inappropriate with the other girl? My ex was cheated on many times before. A: Your ex is clearly very insecure due to her past relationships and it seems she doesn’t believe you and has befriended this other girl to find out ‘the truth’. You say you never did ‘anything inappropriate’ with this girl but on what basis did your ex-have grounds for suspicion? Were you overly friendly with her, even if it was on social media? Were there flirty messages or texts? Something obviously set off alarm bells for your ex. In any case, since she is now your ex, who she befriends is not really any of your business, although you seem a little possessive of this other girl and I wonder how you know that your ex-has befriended her. The kindest thing is to cut contact with your ex on social media since there is no need for her to know who you are talking to any longer. And remember that, for a lot of women, flirtation on social media is still flirtation. Q: Is it inappropriate to send a congratulatory email to an ex-boyfriend who got married? He said after we broke up that he didn’t want to see me again. We only dated four months. We have not spoken in six years. A: Why on earth would you want to email him out of the blue after 6 years? Particularly when you only dated for 12 weeks? Don’t you think that would weird him out? It sounds as if you have marked this guy in your mind as “the one who got away” but he’s been gone a long time and even if your motives are entirely genuine (and not a strange attempt to win him back or see if there is anything still there despite his engagement), I am not sure what you hope to achieve. Time to look to the future and do something nice for you. Have you got a good social life? Are you getting out and meeting people? Making friends? I suspect that this hankering after the past is a sign that you could do with a bit of care and support from friends and family. There will be someone out there for you – you just have to go and find them. Q: We’re all work colleagues, she rejected me and slept with another guy (which is completely her choice) but now this guy is boasting to all his friends and he’s putting me down by saying he’s “better” than me because of it. How do I handle this? A: How do you know she slept with him. Did she tell you or is this plank going around telling everyone she slept with him? If he is, I doubt she’ll be very impressed with him bragging about his sexual conquest. It’s hardly very classy, is it? In your shoes, I think you need to take a deep breath, thank the lucky stars you’re not involved in a rather seedy office situation and if this guy tries to belittle you just smile and softly say, “think what you like mate, but some of us don’t need to make ourselves look a big man by boasting”. As for the girl, be polite but aloof. You’re better off without this pair. A: I think twice is quite enough. If the lady is really interested she will be trying very hard to put a date in your diary. Illness is one thing and, of course, work commitments might push her to rearrange but if she’s keen I would expect her to be trying to meet for a coffee or to shoehorn some time into her schedule. If she keeps saying no or rescheduling, I would assume she isn’t interested and move on. If she is interested, let her chase you now. You’ve done your bit. But I wouldn’t hang around waiting for her to change her mind. "Father’s Day Giveaway – Win £100 At Frederick Thomas Handmade Men’s Ties"
Fab advice as always! Taking back an ex after they have dumped you twice bef0re is always a risk. I don’t know anyone who has had that situation end well! I’ve never been a birthday person, or big on any of the holidays and neither is my fella. So that’s quite lucky, no un due pressure to go overboard 🙂 I only had two rules when I was dating – 1) never take back an ex 2) you can’t be friends with an ex. If you broke up with someone, or they you, take the clean break, move on. I’ve also always believed that if someone is your ex then they’re your ex for a reason and it’s probably best not to bother trying again. Some very good advice on this post and some I would of not of thought of so a eye-opener too. Good lord, some of these questions make me very sad indeed. Great advice here, really enjoyed reading your answers to each of the problems and how to handle the situation amicably. Great advice as always! I do think some of them are a little strange, especially the one about emailing the ex to say congratulations when they weren’t even together a significant amount of time… I definitely wouldn’t want one of my exes emailing out of the blue, nor would I do it to them! This is very interesting and like all the answers to your questions! I agree on that you shouldn’t chase down someone or send a congratulations to an ex if you haven´t spoken in years that would just be weird!